I think it’s fair to say that many of our hair journeys started quite early on in life. Now as a grown woman, I can recognise that the beginning of my bad hair habits began when I was a child. Unfortunately, many salons don’t actually know how to care for natural hair, never mind children’s hair. 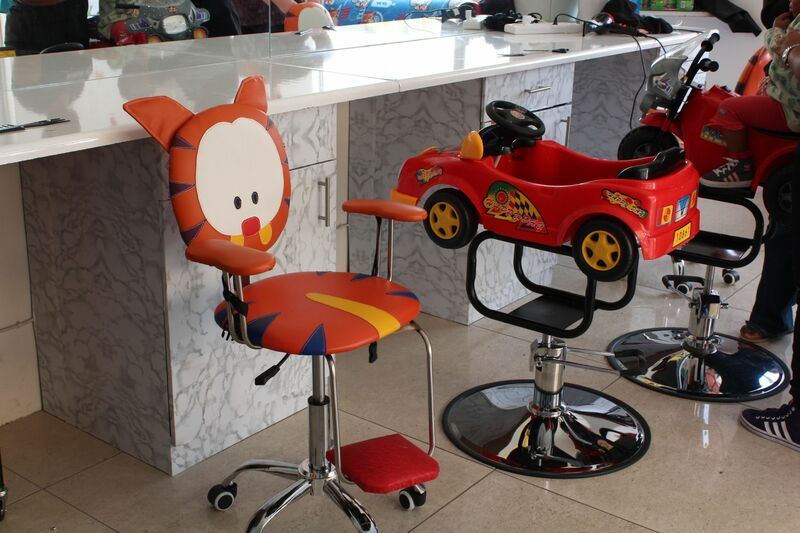 So it was a breath of fresh air finding out that there is a local salon that specifically caters to kids. 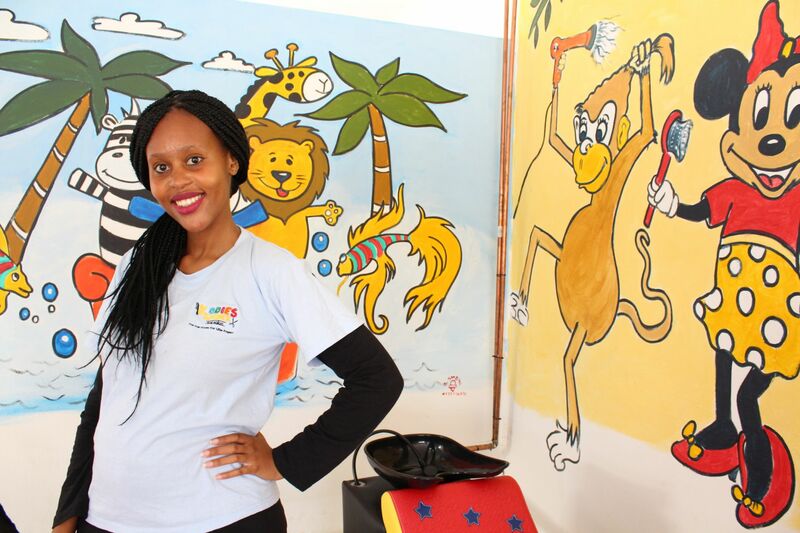 Kiddies Korner is Mbali Mncwabe’s brain child and passion. She is a Bcom Economics and Econometrics graduate from the University of Johannesburg. Her graduate job made her realise she didn’t like being behind the office computer, as she felt her purpose in life was beyond the corporate world. As a child she always wanted to own a hair salon because her experiences had always been terrible. The older she grew, the more she realised how much she loves kids. Everytime she was in a salon and had to watch little girls or boys cry while they’re getting their hair done, it would tear her apart and bring back her own childhood memories. 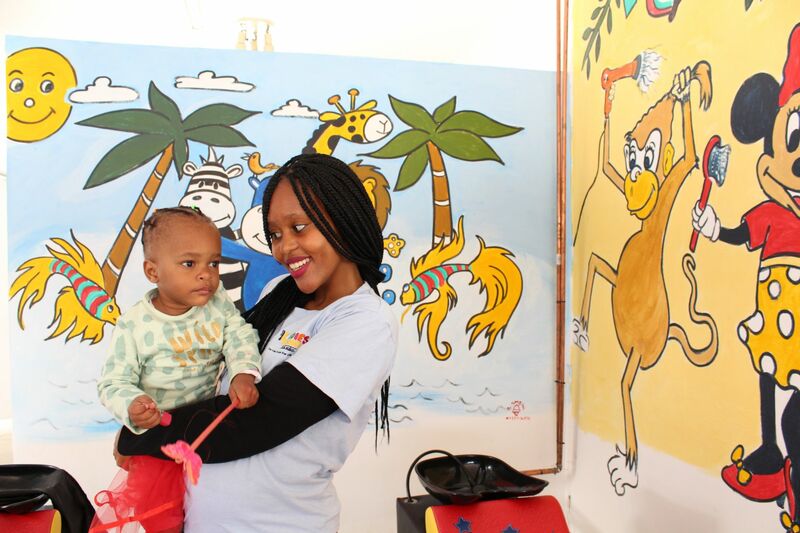 Passionate about kids and hair, Mbali finally decided to follow her dreams by combining the two and opening her own salon after being let go at work. 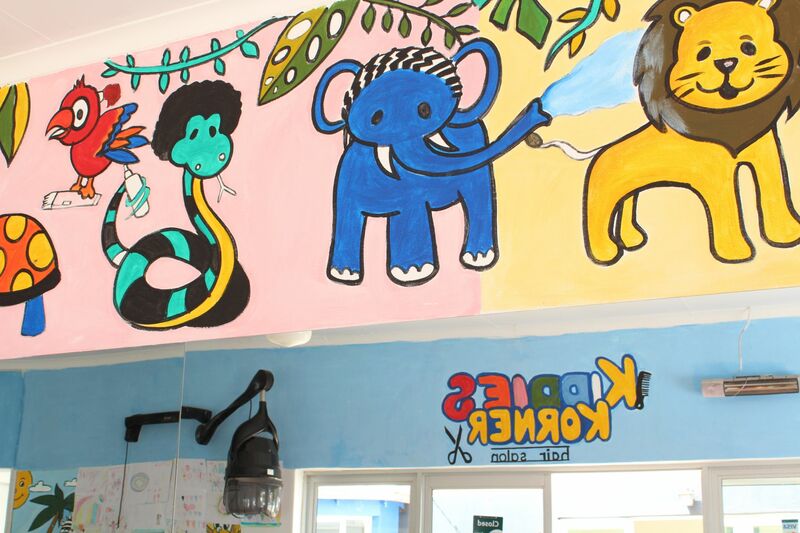 Her goals for the salon is to franchise Kiddies Korner for it to be in every province in South Africa as “children deserve their own salon where their needs are met”. Earlier this month, Mbali invited me for a salon visit. With Baby O. still baking, I borrowed a friend’s daughter for the day. Introducing Nahla, my friend Nthabi’s 2 1/2 year old daughter. She was super excited to hear she was getting her first salon experience. With Nahla’s hair not completely full yet, the stylist was mindful of what she was working with and Mbali suggested a simple protective stye for Nahla’s baby fro. Her hair was already washed at home so the stylist gently combed it with a wide tooth comb (brownie points!) and set her style with wool and some colourful beads. They were careful with pulling her edges and accommodated her when she started getting fidgety. The cute decor and chairs really captured my heart. It didn’t look like a salon that “also does kids’ hair”. All of the chairs were mini, colourful and eye catching. The washing basins are built in lower. 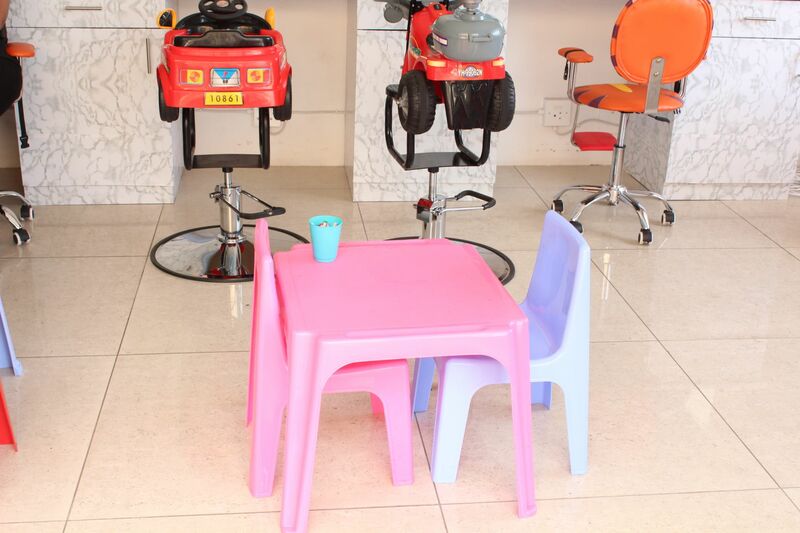 They also have a little colouring and activities table for customers to keep busy while they get their hair done. Kiddies Korner stocks a couple of natural hair friendly lines. There is a relaxer system available but Mbali will only use it if the parents insist, preferring to advise parents to go or stay natural with their children’s delicate hair and scalps. So far, she says she hasn’t used it once. They even have some cute tutus and fairy wands for the little girls to feel like princesses. How cute?! Northview Centre, Corner Malibongwe drive and Olievenhout Ave, Northriding or call them on 081 276 0090. Thanks Mbali for sharing your space and inspiring story with us. I think it’s great that more options are becoming available for us in SA! This is amazing.I've NEVER seen anything like it…EVER!! Yeah, it's an awesome concept!